When electric racing split, the FIM took many of TTXGP’s expected international events and used them for its own e-Power series. That left TTXGP with just one international event for its new world series. But TTXGP has moved swiftly to restore its international footing, announcing a Canadian round for July with the promise of more event details soon to be released. The event will be part of the Mosport Canadian National tour and will take place 8 – 11 July 2010 in conjunction with rounds four and five of the 2010 Parts Canada National Superbike road racing Championships. Mosport International is a 3.9km long venue north east of Canada’s largest city, Toronto, Ontario. 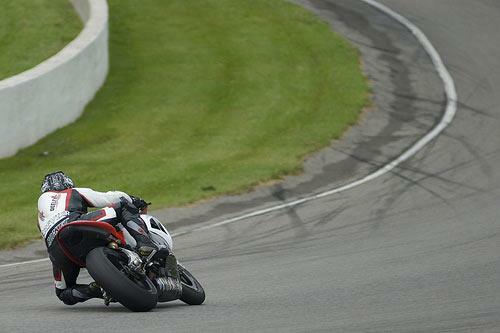 The track currently hosts auto rounds in the ALMS tour and Canadian NASCAR, as well as Canadian Superbike, and in the past has conducted motorcycle events for Grand Prix and World Superbike. Colin Fraser, President, Professional Motorsports Productions, for the 2010 Parts Canada Superbike Championship, said, “Everyone involved in the Canadian series is really looking forward to the TTXGP event at Mosport in 2010; we believe this event has a solid long term future. "The electric initiative is attracting lots of attention, and we know Mosport will serve as a great showcase for TTXGP." Azhar Hussain, Founder and CEO TTXGP, said, “We are overwhelmed by the enthusiasm and support for TTXGP by our North America friends and their ability to turn things around very quickly. November: Grand Final (date/place TBA) a return trip for TTXGP in TT week 7 – 11 June 2010.